Aluminium Cladding – Just How Safe Is It? Earlier this year a fire broke out in Melbourne’s Lacrosse Apartment building, causing more than $2 million in damage and sparking an enquiry by the Victorian Building Authority (VBA) into the use of non-compliant building products in Australia. Soon after the fire, reports of similar fires occurring in other large buildings around the globe began to emerge. The culprit behind these fires? Cheaply made, imported aluminium cladding. Our aluminium cladding is quality controlled to keep your family and home safe. Is Aluminium Cladding Safe to Use on my Home? Aluminium is actually one of the safest materials to make home cladding with, as it is classed as a non-combustible material and does not burn. This makes aluminium exterior cladding a great investment in the future of your home if you live in one of Australia’s bushfire-prone areas. So, if aluminium isn’t flammable how did these buildings ignite so quickly? The cheap exterior cladding used on the Lacrosse building, called Alucobest, is made of aluminium on the outside but on the inside the cladding is filled with polyethylene/plastic fibres that have shown to be highly flammable. When the CSIRO tested this cheaply made aluminium cladding it caught fire in under a minute and the tests had to be abandoned after just 93 seconds so that the lab’s equipment would not be damaged. Abbey Thermalboards’ aluminium exterior cladding has never caught fire. Alucobest isn’t the only type of cheap home cladding have to watch out for on the Australian building market. As investigations into the Lacrosse fire continue, it is becoming more and more obvious that poor building product compliance is a major issue in Australia. Senator Nick Xenophon described Australia as “becoming a dumping ground for the world’s dodgiest and most dangerous building products”. This alarming view would surprise many Australians, but according to a recent survey by the Australian Industry Group, 92 per cent of builders surveyed had been offered faulty materials or products to buy. As the popularity of aluminium and vinyl cladding continues to grow, the building industry has seen an alarming rise in the use of cheaply made, imported aluminium cladding. Following the Lacrosse fire, 7 out of the 70 Victorian buildings tested contained aluminium cladding that failed to meet the fire safety requirements specified under the Building Code of Australia. Even state governments have been stung by cheap aluminium cladding suppliers, with the inferior exterior cladding found on both Melbourne’s Royal Women’s Hospital and the currently under construction Victorian Comprehensive Cancer Centre. Using fire resistant products might be initially more expensive than resorting to other, untested types of house cladding that don’t comply with Australian combustibility standards (a measure which is “absolute” meaning a product is either combustible or it isn’t), but the long term cost of cheap home cladding can be enormous. Serious fire safety risks aren’t the only problem with buying cheap aluminium cladding. If your home is found to contain this cheap exterior cladding you will have to remove or replace it, which can incur serious rectification costs. According to Kim Henshaw, the Strata Community Australia CEO, the Lacrosse building apartment owners are now facing a $20 million rectification bill. In an interview with the ABC earlier this year, Fire Protection Association CEO Scott Williams said it’s impossible to tell the difference between safe and unsafe aluminium cladding by simply looking at it with the naked eye. Aluminium cladding with a flammable plastic core and aluminium cladding with a safe mineral fibre core look, smell and feel exactly the same. Even builders don’t have the tools or know how to test whether their materials are compliant with Australian building regulations, and they may inadvertently use products that claim to meet Australian standards but are actually unsafe. 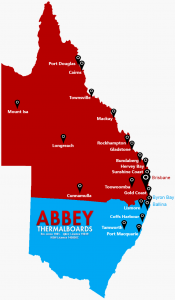 That’s why it is so important to get your home cladding from Abbey Thermalboards – an Australian supplier with 38+ years in the industry and over 35,000 jobs to its name. ©2018 ABBEY THERMBALBOARDS. ALL RIGHTS RESERVED. All trademarks referenced herein are the properties of their respective owners. 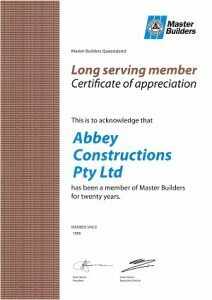 ABBEY THERMALBOARDS is not responsible for any errors or omissions, or for the results obtained from the use of this information. All information in this site is provided “as is”, with no guarantee of completeness, accuracy, timeliness or of the results obtained from the use of this information.